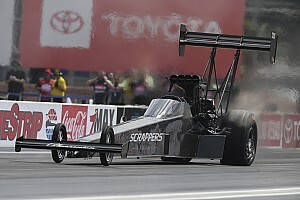 Funny Car 2012 champion has beaten greater odds than the men and women he challenges on drag strips. Jack Beckman overcame his cancer, and now fights for those who have been stricken by the disease. 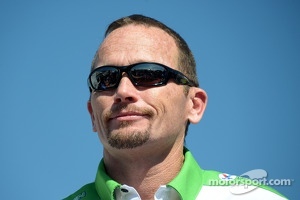 Got to hand it to Jack Beckman, 2012 NHRA Mello Yello Drag Racing Series Funny Car champion and cancer survivor. Even as he rockets down the 1000-foot dragstrip at well over 300 mph, Beckman always has, in the back of his mind, the disease that could have taken his life. He wants to make sure anyone else that’s stricken feels his strength. What does he do about it? He tries to help others that are in the same situation as he was (and is, you never know when cancer might rear its ugly head again) to understand what they’re up against and live their lives as fruitfully as he lives his. Don Schumacher Racing’s (DSR) titleholder lends support to the millions of people around the world who are stricken with cancer and who are forced to undergo chemotherapy. He’s an ambassador for the Chemotherapy: Myths or Facts campaign, attempting to debunk some of the common myths associated with chemo and hoping to get those stricken to deal openly with their physicians about the facts of the treatment. He said that, when he learned of the disease in 2004, Beckman sought a second opinion. He wasn’t sure the first oncologist he spoke with had the right answers for him. Jack wanted to continue to work as an instructor at Frank Hawley’s drag racing school; he wanted to continue to race. Beckman found the right physician – it’s always good to make sure the doctor you’re working with speaks the same physiological and psychological language you do – and together they got him back to the stage of health he currently enjoys. Although he’d been told it was impossible, Jack Beckman married his wonderful wife Jenna in 2006 and they gave birth to Jason, now 6 and Layla, 2. 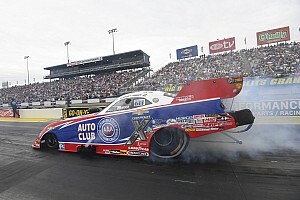 A former U.S. Air Force sergeant, Beckman became a professional NHRA Funny Car racer with DSR in 2005and has been in the hunt for the class championship since he entered the category. 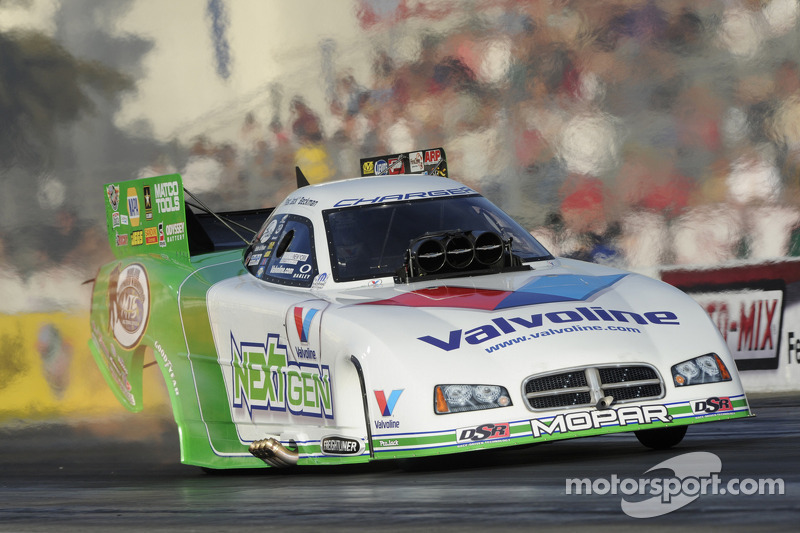 (Beckman became the 2003 NHRA Super Comp titleholder before his cancer diagnosis). And as inspiring as his life story is outside of a race car, so too is he inspiring when he gets behind the wheel of his 10,000-horsepower Funny Car. It almost seems like Jack Beckman laughs at cancer every time he takes a win light. He’s not a victim of cancer; he’s a cancer survivor whose story rings true.